British billionaire Sanjeev Gupta is building the world’s biggest battery in South Australia, knocking Elon Musk’s battery project from the title. South Australia is home to a 100MW battery the size of a football field, which switched online last November. Gupta plans to build his own 120MW battery at a storage facility at Whyalla Steelworks, which he purchased last year. A once-in-a-lifetime storm caused blackouts throughout South Australia in 2017, prompting the state to secure its energy grid against future disruptions. The state began investing in renewable energy – and it’ll invest $7.8 million into Gupta’s project. The SIMEC ZEN Energy storage facility will be located 186 miles north of Adelaide in Port Augusta. Gupta’s GFG Alliance bought the struggling steelmaking giant Arrium last year, of which the Whyalla Steelworks is a part. Musk pledged last year to build a South Australia battery facility in 100 days – or the project would be free. He built it in just 63 days, and the project switched online last November. Musk’s battery is connected to a wind farm operated by energy firm Neoen, and it provides enough energy to power 8,000 homes for 24 hours during a blackout. 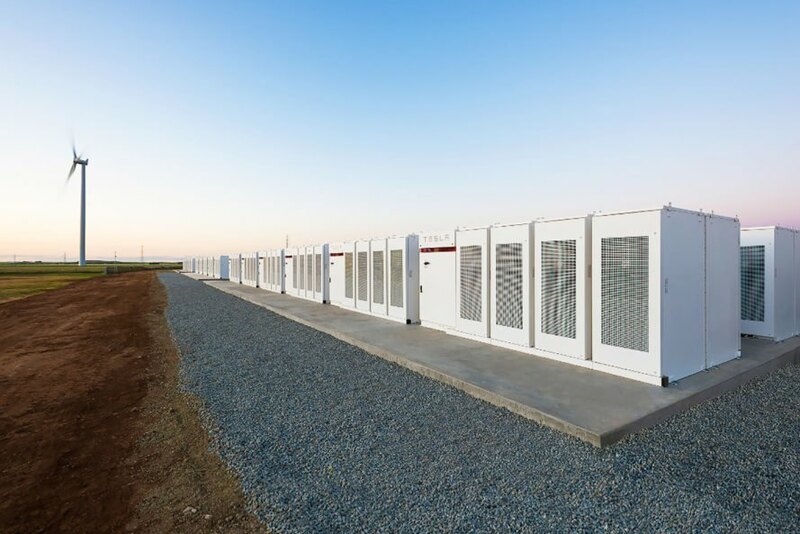 Tesla's battery in South Australia.